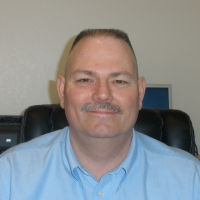 Hi, I’m Keith Smith and the founder and owner of Keith Smith Internet Marketing LLC. I was first exposed to computer programming in 1983 while a student at the University of Arizona. As an accounting major I was required to complete two programming courses. The first class was programming in Fortran, and the second class was programming in COBOL. The COBOL programming language was in wide use during that period, and still is. During the following years I was an xBase programmer. I used the xBase language to build desktop database applications. In 1999 I started teaching myself Internet programming. The Internet was nothing like it is today. It was the wild wild west. My first website was built using the PERL programming language and an early version of MySql. Before settling on PHP / MySql, I used Active Server Pages or ASP to build my website. Around 2002 PHP / MySql came onto my radar. In 2006 I went out on my own to do freelance PHP / MySql consulting. Completed 5 annual Payment Card Industry (PCI) compliance audits. This included servers, facilities, users, and software. Replaced the shopping cart’s Authorize.net Server Integration Method (SIM) with the Authorize.net Advanced Integration Method (AIM) which was more robust. Went from programming to co-managing a Magento shopping cart and a Magento developer agency. Custom PHP programming – This is where I started in 2006 – offering my services as a PHP / MySql programmer. I have a lot of experience with PHP / Mysql. WordPress Developer Services – WordPress is written in PHP and requires a data engine. I recommend MySql. WordPress SEO Consulting – I have been involved with Search Engine Optimization (SEO) since around 2002 when I first tried my hand at SEO. If you found my website visa a search engine search, I must be doing something right. VPS Hosting – Plesk on a virtual private server (VPS) is my favorite. Today’s web servers are very powerful and becoming more powerful by the day. Most hosting providers are using Sold State Device for their storage devises, which mean smoking fast web servers. Add Pleak and you have an unbeatable combination. Browser Based Web Applications – In the old days I used to create custom desktop applications using xBase tools. Those where the good ol’ days. I enjoyed building applications in xBase. Today we can even do better. We can build the same feature rich application that runs in a browser using PHP, MySql, and jQuery AJAX. The nice thing is the application does not need to be installed on every computer because it runs in a browser which is available on all modern devises.